Air thick with moisture and heat, nearly tropical in proportion, coupled with the first rays of sun in the East. Temperatures already in the 80’s and forecast to reach the upper 90’s by day’s end. To a Minnesotan – to anyone – this is hot. And hot it was last Sunday morning as I reminded myself I was still excited to take on the 5 kilometers before me. 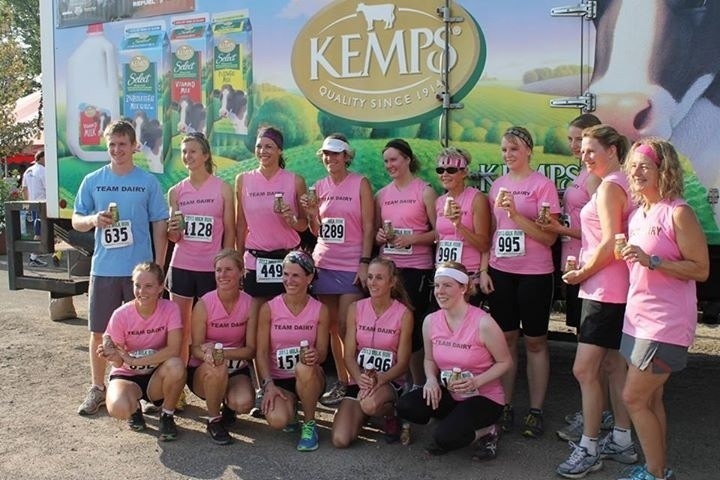 Back in the spring, I got the word that Team Dairy had entries for runners at the MN State Fair’s Milk Run. Right away I knew I wanted to sign up, and I crossed my fingers that the timing would work out for a quick getaway. I love the state fair, and the run they put on is always a great event. This race also has some fun nostalgia for me. 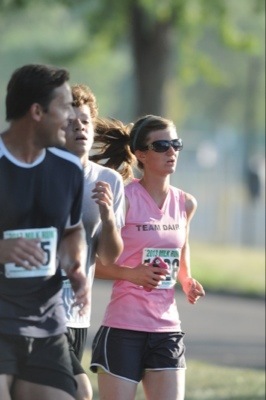 Back in 2007 the Milk Run was actually my first-ever 5K race. It hasn’t worked out for me to run it since, so I was looking forward to the course which runs through my old college neighborhood and ends at the west state fair gates. 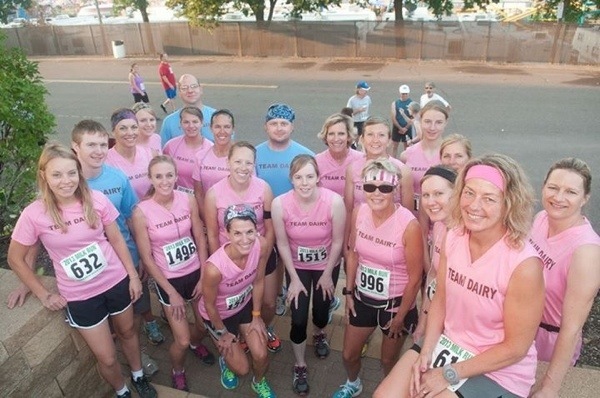 My sister Julie and I were ready to run early on Sunday in our Team Dairy pink. Our husbands were even gracious enough to accompany us at the early hour. In the midst of the heat, or perhaps because of all the fried food and late Saturday night at the fair, I didn’t run my fastest race. At all. I’d hoped to run close to 23 minutes, but instead I barely broke 26. Some runs are better than others, right? Hopefully cooler weather will bring me some speedier runs this fall, but I was still glad to be part of our team for the Milk Run. After the run JR and I headed home to our own farm and cows. Even though we knew they were being taken care of, it’s hard not to worry about things on such hot days. Aside from the hutch calves (and people!) 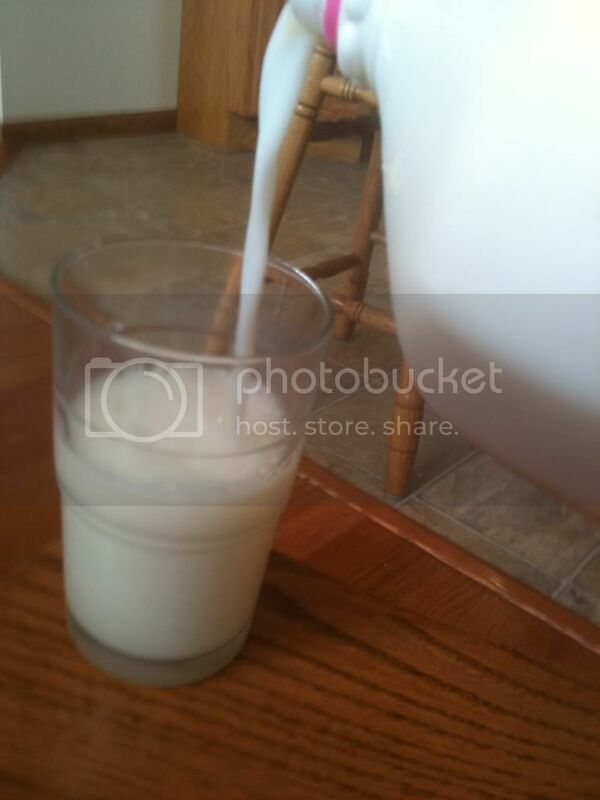 needing extra water, everything went smoothly. And now, just days later, the temperatures are such that I need a sweatshirt. It was 39* yesterday morning! It’s crazy how fast summer slips away. 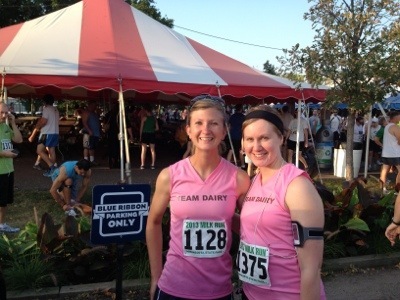 To read more about the race, check out my guest post on Team Dairy and the Milk Run, featured now on Midwest Dairy’s blog. If you’re a Minnesota dweller, let me know your ideas for a great cool-weather race for me to work toward this fall OR comment on your state fair experiences. 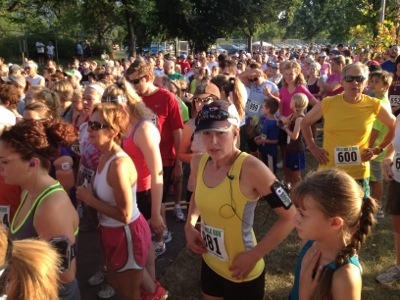 Don’t forget — next year if you’re in Minnesota the last Sunday in August, maybe I’ll see you at the Milk Run! 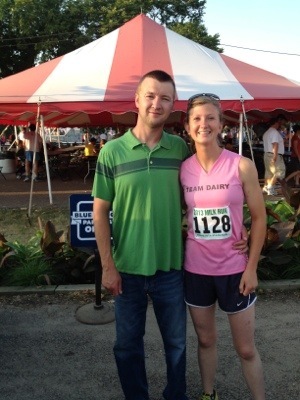 This entry was posted in Cows, Race Reports, Running and tagged milk run, Minnesota 5K, MN state fair, team dairy. Bookmark the permalink.